RALEIGH, North Carolina (WTVD) -- Authorities said Friday that the victim who died in an early-morning shooting outside a Raleigh condo complex was an Army Specialist. It happened Wednesday about 3:30 a.m. in the 2200 block of Raven Road in northern Raleigh. Raleigh Police said U.S. Army Specialist Jose Juan Melendez Jr., 31, was shot in the jaw and found lying in the parking lot when police arrived. Police said Melendez was shot as he was walking to his vehicle. 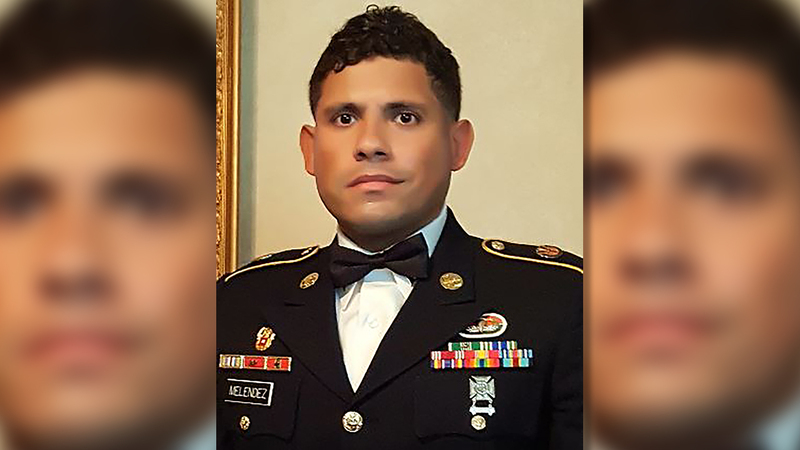 Specialist Melendez was on leave from the Army at the time of his slaying and was scheduled to return to duty that Wednesday morning. Raleigh PD is seeking the public's help as it works to identify the suspect in Melendez's death.